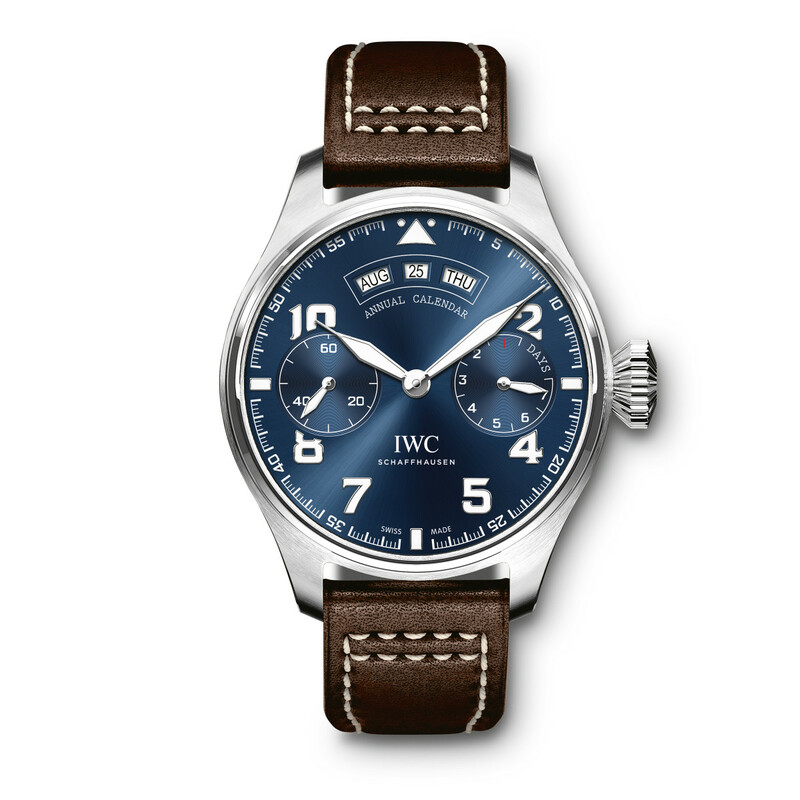 IWC reveals a stunning new edition of their Big Pilot Annual Calendar "Le Petit Prince" in white gold. 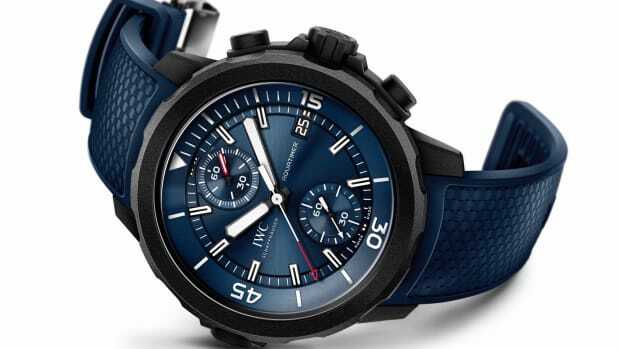 The 46mm timepiece will not only have the signature blue dial, but will also feature for the first time ever in IWC history: a blue movement. 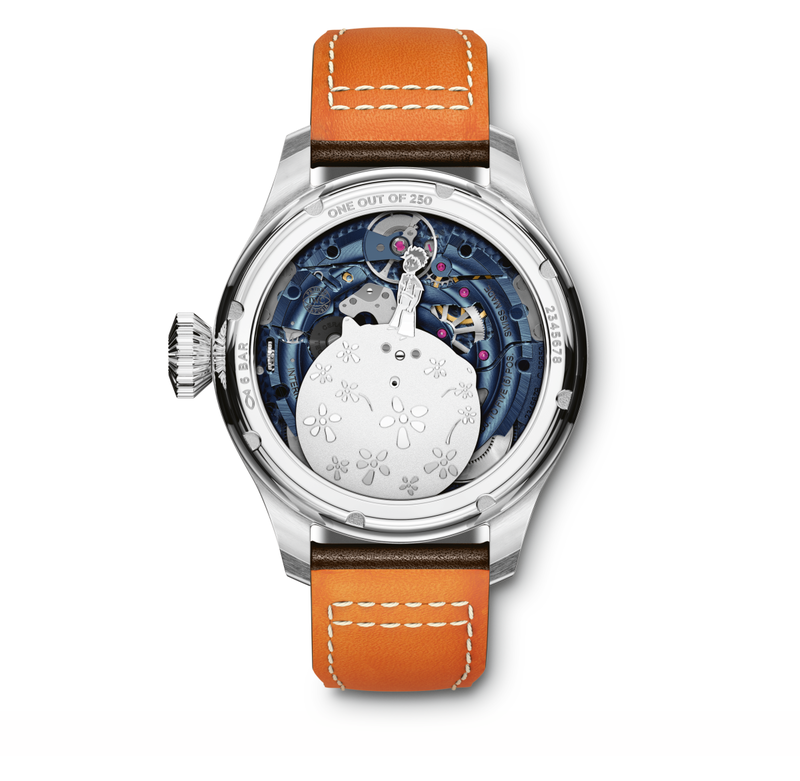 The movement is the same as the gold model, with the difference being the movement color and the white gold rotor. 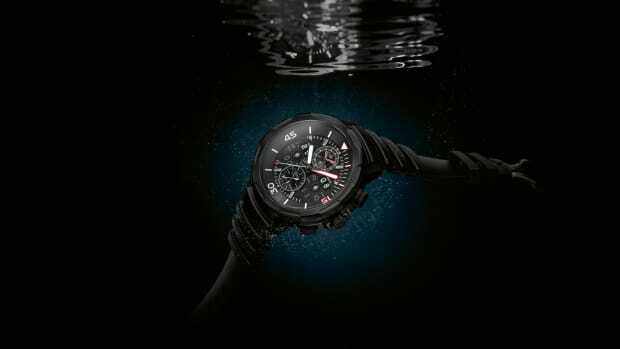 The dial has a power reserve display, calendar windows, and a small hacking seconds sub dial. 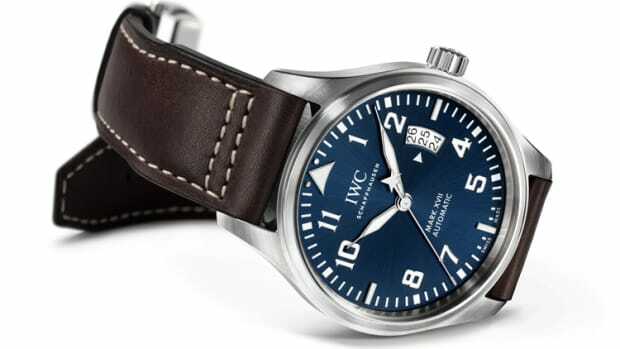 The watches are limited to 250 pieces total and each watch is equipped with a brown leather strap from Santoni. The program has helped support over 300,000 kids.